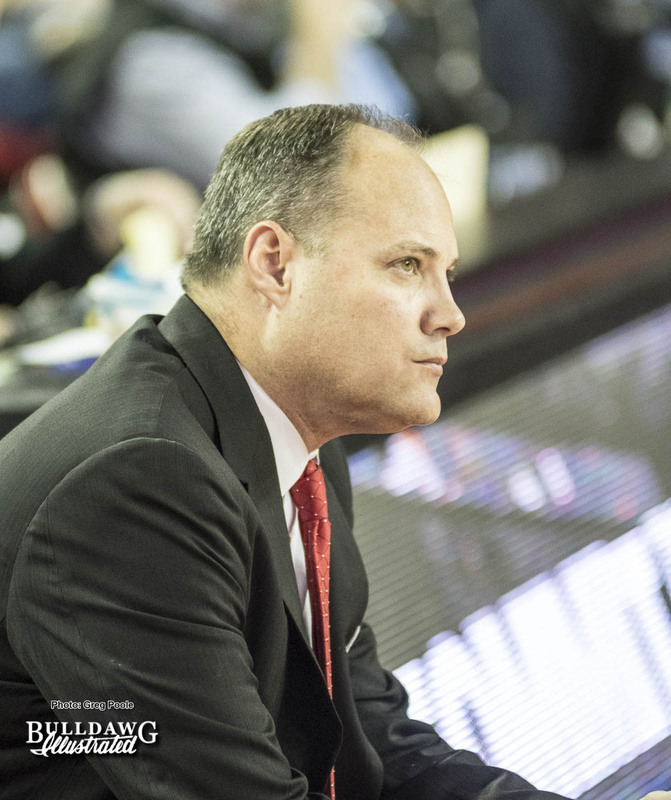 An early Vanderbilt margin led the Commodores past the Georgia men’s basketball team, 81-66, at the Memorial Gym on Wednesday night. With 20 points, senior forward Yante Maten posted his 12th 20-point scoring effort of the season and 34th of his career. He was joined in double-digit scoring performances by junior guard Derek Ogbeide off the bench with a season-high 16 points, his seventh on the year, and redshirt senior guard Juwan Parker, who added 13 points for his 10th on the season. Trailing 22-12 at the 8:09 mark, Maten, and Ogbeide provided an offensive retort with six points apiece in the final minutes of the half. Parker also contributed on offense, piecing together six straight points to cut the Commodore lead to five, including a 3-pointer dished out by freshman Nicolas Claxton. Vanderbilt stretched the lead back to 39-31 at the half. To open the second half, Ogbeide matched a Vanderbilt dunk from Ejike Obinna with one of his own, followed by a 12-3 Georgia run that broke into the Commodore advantage, led by Parker, Maten, and junior William Jackson II. A Jackson defensive rebound-and-layup capped the surge and brought the Bulldogs within one. The two teams traded buckets back-and-forth for the next couple of minutes, but a 3-point play from Joe Toye with a jumper and a free throw propelled the Commodores to a five-point lead, which they extended to as many as 17 by the end of regulation. Six final points from Ogbeide were unable to fend off the 81-66 final. For the complete box score from the Georgia men’s basketball game versus Vanderbilt, CLICK HERE.